Investors choose mutual funds usually because they are diversified assets. Mutual funds come in all shapes and sizes, and the choices might seem overwhelming at times. Choosing a mutual fund is a personal decision you should make in accordance with your investment strategy. Establishing selection criteria for choosing mutual funds will help you find the investment that aligns with your risk and cost tolerance, and investment goals. Selecting a mutual fund should depend greatly on your investment goals. For example, you might want a mutual fund that provides a steady income stream or one that is designed for capital growth. Investors seeking regular income tend to favor bond mutual funds, while funds heavily invested in stocks provide investors with the best chance of experiencing strong capital growth. Risk-averse investors might look to invest in money market funds, but these types of funds provide lower returns compared with other mutual funds. Important selection criteria when deciding on a mutual fund is the associated fees and costs. 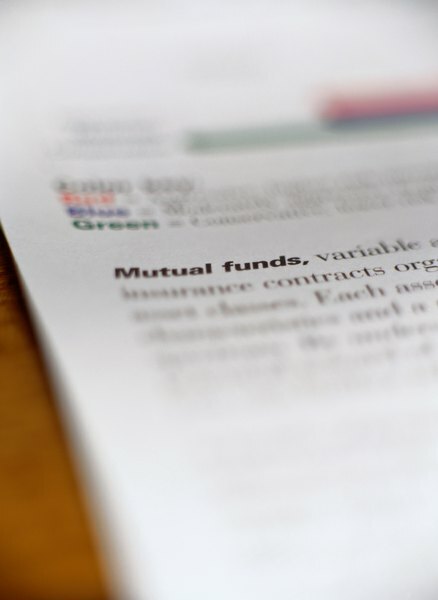 Mutual fund companies are required by the SEC to disclose fees and expenses to shareholders. This gives investors the advantage in choosing the right mutual fund. Common fees and expenses associated with mutual funds include purchase, redemption, account, management and distribution fees. The fees and expenses of a mutual fund vary, but index funds aren’t actively managed and tend to charge lower fees. A mutual fund’s performance is also an important factor when determining which asset to purchase -- though past performance does not guarantee how a mutual fund performs in the future. A mutual fund that performed well in the previous year can see a drastic decline in value the following year. Researching the length of time the fund existed is important. According to the SEC, some new funds experience excellent performance records because the investments have performed only over the short term. Researching the volatility of a well-established fund can inform you of its investment risk. A fund’s manager makes the investment decisions regarding an actively-managed mutual fund. Understanding how a fund is managed is important before deciding to invest your money. You should research the experience of the fund manager. If a manager is consistently associated with a poorly performing fund, you should consider avoiding that investment. Reading a fund’s prospectus can tell you how the fund is managed, the associated fees and costs, the fund’s investment goals and strategies, and the primary risks involved with investing in the fund.